Sit upon the throne of the Varennes Empire and control several generations of rulers in a valiant battle against the Seven Heroes. A dynamic freeform scenario system - a hallmark of the million-selling SaGa RPG series - enables you to take command of a variety of protagonists along the line of imperial succession and experience the history of a nation as it grows and changes based on your actions. • Experience a compelling narrative that served as the cornerstone of the title's success on its initial release back in 1993. • Use weapons and martial arts in heated battles to learn and master new combat techniques. • Take advantage of each character attributes, learn new battle formations, concoct spells and temper weapons to grow the Varennes Empire. ©1993, 2017 SQUARE ENIX CO., LTD. All Rights Reserved. 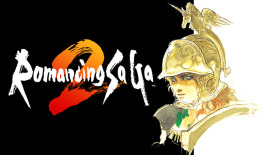 ROMANCING SAGA is a registered trademark or trademark of Square Enix Co., Ltd. SQUARE ENIX and the SQUARE ENIX logo are registered trademarks or trademarks of Square Enix Holdings Co., Ltd.